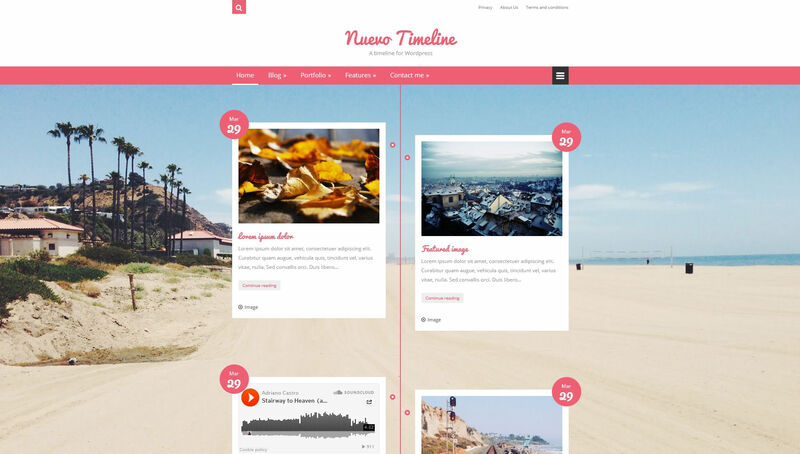 Nuevo Timeline is an elegant and clean theme for WordPress, focused in the content with a responsive design can support all kind of resolution. Post formats: standard, video, audio, gallery (slider style) and image. - Now Google Map shortcode supports map type.